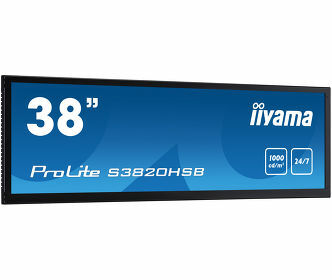 This February, iiyama has introduced two new stretched ‘bar’ displays to their digital signage line-up. With these two new displays, iiyama is stretching their signage offering and promising a more diversified line-up; making the commitment to specialism. The two new displays are available in 28” and 38” and feature a brightness of 1000cd/m2 and a 24/7 operating time with portrait and landscape orientation; making them highly suited for use as a in-store promotional display attention grabber or as a signage solution in places where a regular 16:9 display simply won’t fit. Hoofddorp November 7th. This quarter, iiyama is adding two all-new high-brightness displays to their professional digital signage range that can handle the heat! The two displays can be installed in sunny shop windows and very bright environments without worry as they are equipped with special IPS M+ LED panels with a brightness up to 3000cd/m2 and a light sensor that automatically adjusts the display's brightness depending on the light intensity. April 19th, This spring, iiyama are introducing a literally massive new range of professional digital signage displays with 4K resolution, slim bezel and up to 24/7 operating time. They will be available in sizes starting from 43” up to 98”, iiyama’s largest display ever. iiyama, one of the leading manufacturers of desktop monitors, large format displays and touch screens, proudly introduces the new Gold Phoenix GB2888UHSU gaming monitor. Part of the recently introduced G-MASTER™ series, the Gold Phoenix is the ultimate partner for gamers that only settle for the best. iiyama, one of the leading manufacturers of desktop monitors, large format displays and touch screens, proudly introduces the new Black Hawk™ GE2788HS. 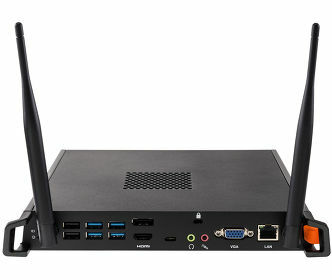 Part of the recently introduced G-MASTER™ series, the Black Hawk™ is specially designed for gamers. iiyama, one of the leading manufacturers of high quality monitors, is proud to announce the introduction of a new gaming monitor portfolio called G-MASTER™. G-MASTER™ represents three different clans: Red Eagle™, Black Hawk™ and Gold Phoenix™, offering a broad choice of options to meet every gamer’s needs. The first 27” Red Eagle™ and Black Hawk™ monitors will hit the market end of October. iiyama wins bronze Award in WebUser magazine! We are delighted to announce that the iiyama ProLite E2409HDS has recently been awarded the Bronze Award in the March issue of UK magazine WebUser, beating rival manufacturers to this top three spot in their Editor’s Group Test. The first in iiyama’s stunning range of LED-backlit monitors is the ProLite LED E2472HDD, available in the UK at the end of this month. The E2472HDD 24” display combines all the benefits and improvements LED technology offers, including energy saving, panel uniformity and improved life expectancy.